You may have read my post recently about the pros and cons of working from home. Whilst I love having the opportunity to be able to work from home unfortunately at the moment I don't have a work space or office. As I don't have a desk I tend to just sit at the kitchen table which frustrates me sometimes as all my 'stuff' is spread about everywhere and I don't have anywhere to store it. 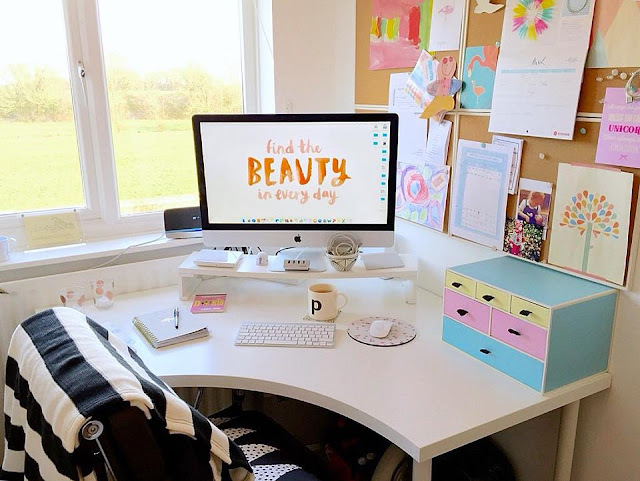 I would absolutely love my own space in our home to sit at and do my work and I have lots of ideas on how I would decorate it. I have been using my current Trolley Bags now for about two years and I absolutely love them, in fact I would be lost without them. Trolley Bags do exactly what they say, they are bags that fit in your trolley while you are out shopping. Trolley Bags really do take that stress away especially if using the popular 'scan as you shop' option in Tesco or in Aldi when you are trying to pack your shopping away as soon as the cashier scans it. Trolley Bags have extended their product range to now offer an Xtra Bag and a Cooler Bag. This time of year, most of us are thinking about holidays. I love preparing for a holiday as I like to be organised and have everything ready quite early on. I think the earlier you prepare, the less stressful it can be. especially if travelling with little ones. I am one of those parents who has a huge tick off list of all the things I need to do, prepare and pack for the trip. These are my top 5 tips of things I prepare and pack before taking the kids abroad. To celebrate the upcoming launch of the Summer Set Menu at Prezzo we were invited along during Aperitivo Hour to sample the dishes that will be available from 18th June 2018. Prezzo at Manchester Media City is in a really relaxing location close to other bars and restaurants. The first thing we noticed was the pop up Peroni Nastro Azzurro bar. The bar which is just outside the Prezzo restaurant was very inviting with lots of tables complete with cushions and blankets so you can enjoy eating and drinking Al Fresco even when it is cold outside. Even though the boys haven't finished for Summer yet I am already thinking about the 'What we need' list for back to school in September. I like to be prepared and organised and there is nothing worse than back to school shopping in the Summer holidays. The boys just want to be out with their friends or playing in the garden in the sunshine, they certainly don't want me dragging them around town trying on uniform and school shoes. So with my back to school preparation in mind I was really excited to be offered the chance to review My Nametags. My Nametags are stick or iron on labels that can be used on almost anything. We have visited Cyprus a few times now and have another holiday planned. Other than the Disney parks its our favourite place to visit. Whenever you visit a new country or resort you are naturally a little nervous about what it will be like but as soon as we went to Cyprus we fell in love. Everyone is so friendly and families are more than welcome on the island. 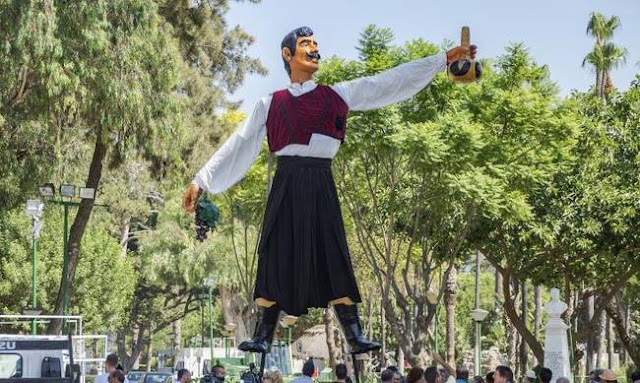 John and I were actually thinking about going to Cyprus, just the two of us for a little break and to experience one of it's many festivals it celebrates throughout the year. The Limassol Wine Festival looks amazing and it's the perfect time of year for us too in August / September. Father's Day is just around the corner so I thought I would share with you some gift ideas. I always struggle buying for Father's day as my dad says he either doesn't want anything or he says get me anything. So I have selected a few of our top picks this Father's Day and I think I have covered ideas for all types of dad's, father in laws or for someone that is like a dad to you. As it is Father's Day soon I know most of you will be thinking about what to get your dad or dad-in-law for the special day. I sometimes struggle because my dad is so hard to buy for and when I ask him for any suggestions he always replies 'I'm easy' which really doesn't help. 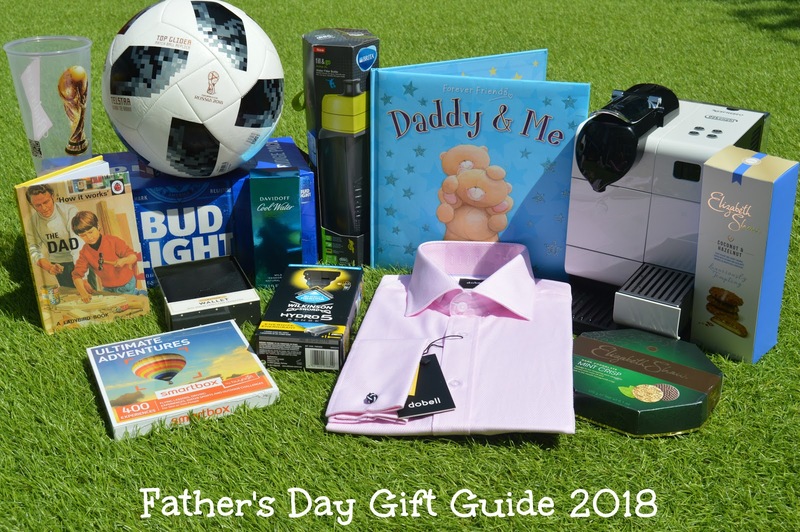 So if you are like me and struggle to find the perfect gift then I am so excited to tell you that I have teamed up with Buyagift this month to give one lucky winner the chance to win an amazing prize just in time for Father's Day.